The easiest way to fill out your timesheet. Eliminate the guesswork in filling out your timesheet. Let Accelo automatically track all of your projects, meetings, tasks and activities for you. Get an overview of an entire week on one screen and easily change the total hours on a given day, making it easy to adjust the suggested times. Seamlessly integrated with the platforms you already use everyday, including Gmail, Google Calendar, Microsoft Office and Outlook, the automatic time capturing feature records everything effortlessly, allowing you to work the way you do without worrying about recording your time. The automatic timers work in the background to track your activity, giving you the ability to keep track of your work as you’re doing it. Capture all time related to client meetings in Google Calendar, Microsoft Office and Outlook, making it easy for busy professionals to keep track of their billable hours and client work. 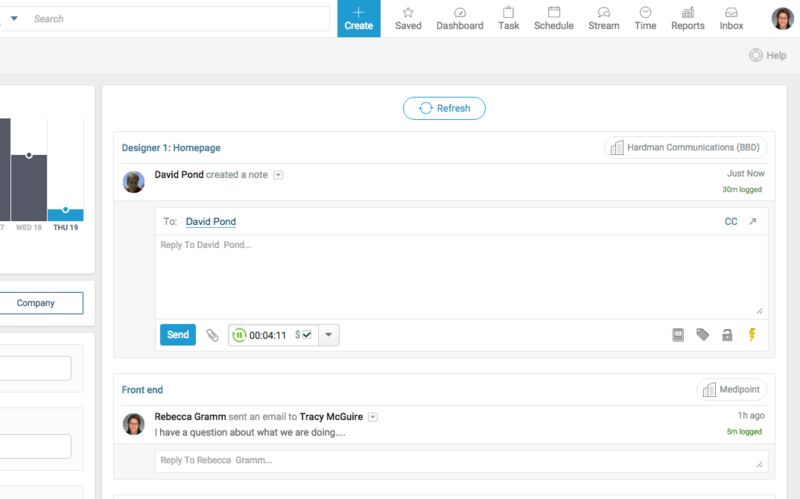 Accelo tracks all the emails sent to your clients and rolls up those minutes into your timesheet. Automatically entering time based on email conversations can help recover lost billable time. Even an email you send using your phone will automatically be added to your time sheet, so you can truly continue working the way you do. 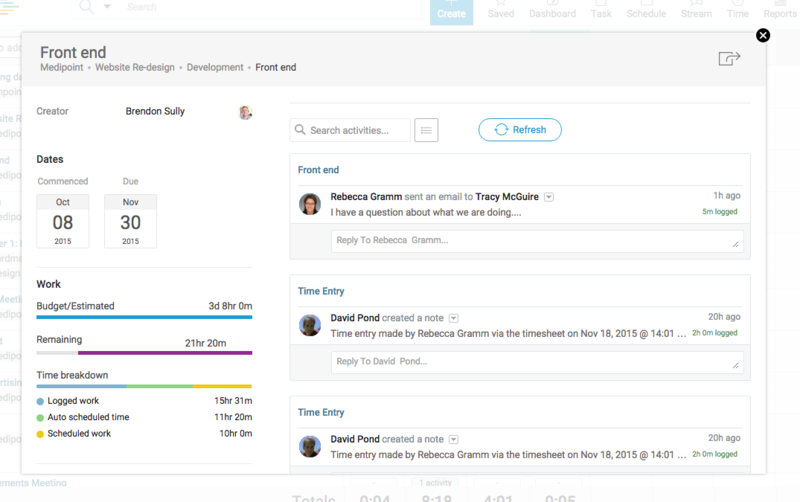 See all your milestones, tasks, and tickets as suggested work in your timesheets, so that your team doesn’t have to fill their timesheet out based solely on their memory.